Travel can be an addictive drug. 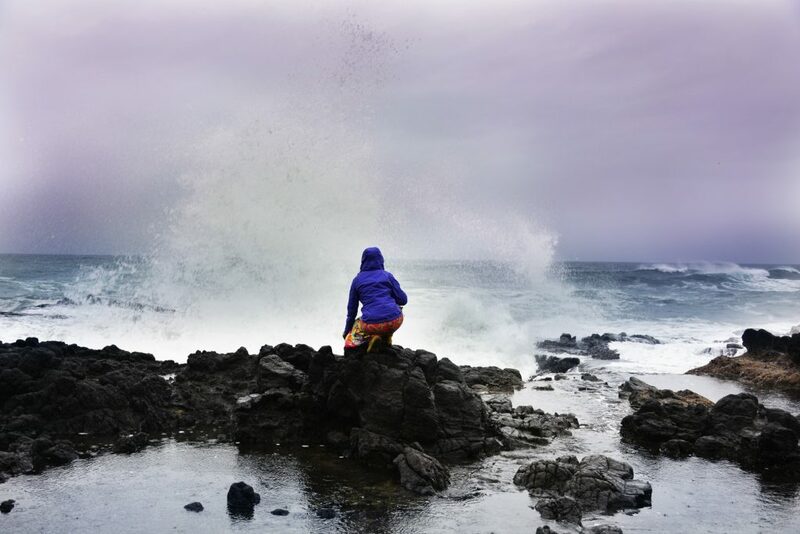 Elation comes with new experiences and the rush of the unknown. But what happens when you come down from the high? I remember the feeling perfectly. The moments that we rolled out of the driveway, got onto one of those perfectly straight Illinois county road, heading North. 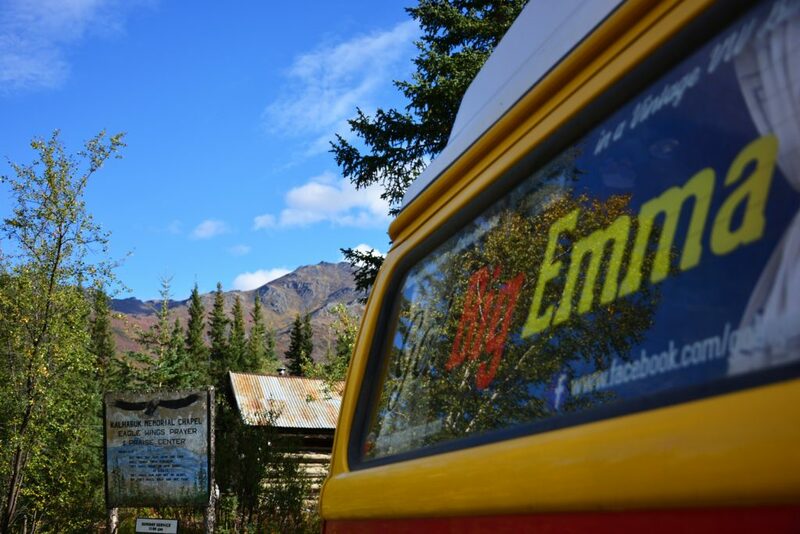 We had the windows rolled down and enjoyed the breeze that rushed in through Big Emma’s windows. 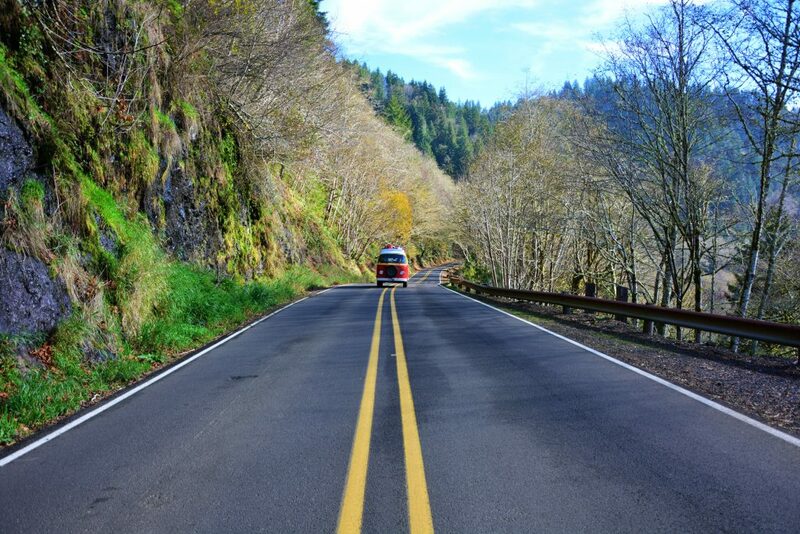 It was the start of a roadtrip, but not just any roadtrip: the roadtrip of a lifetime. We had been on roadtrips before. A few smaller ones here or there, and two longer ones in Big Emma. We soaked in every second of those rides. The movement of the car was as interesting as the destinations we were going to visit; camping and cooking had a charm that I could not stop being enamored of. Then we would roll into a new place and the excitement of the unknown world would take over. There was so much to discover and travel was filled with that sense of innate exhilaration that comes with a constant stream of new experiences. I believed I could roadtrip forever, especially with a companion like Big Emma at my side. It was logical that that belief became a trip that didn’t have to end. But what is a trip? What is it that all trips have in common? A trip is going from one place to another, it is soaking up the experience itself along the way. You try new things, be a little different for a while. You are still you, you are just putting yourself in a different context and seeing what will happen. Where will it take you? What will you feel like? It’s actually not unlike the trip you get off of a drug. Why do they call it “a trip”? What makes getting high a “trip”? Where does the word come from? 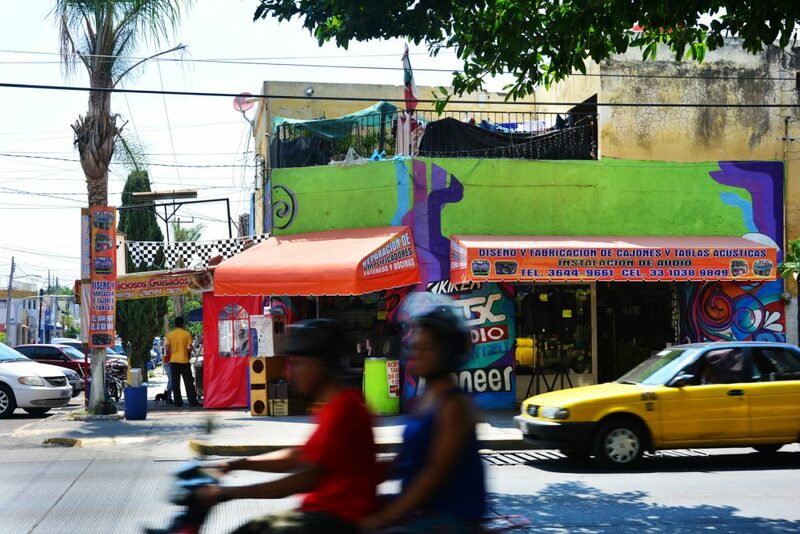 The rush of busy streets in Guadalajara, Mexico (June 2017). According to the Online Etymology Dictionary, “trip” (as in to travel) has been around since at least the 14th century, and stems from the verb with Old French or Germanic origins. In comparison, the other meaning didn’t turn up until the late 1950’s. So why did the trippers of the mid-20th century pick that verb? A figurative drug trip it is a time where your mind is open to new ideas, you can let go and be a little wilder than usual, it is a time of new experiences and without judgment. A trip is something with a beginning and an end, where you feel elated at an experience, and where you open yourself up to feeling different than usual. Strangely, it does have parallels to travel. And more importantly, tripping, in both forms, brings with it a feeling of elation. Traveling from place to place is exciting. You are always landing somewhere new. You can enjoy where you are now and look forward to the next destination at the same time. But it’s not just destinations, it’s just as much the adventure in between. The bus ride through the jungle in Cambodia, or feel that pang of uncertainty that comes when the hostel you were going to is all booked up for the night and you have to find a different place. That sense of peace when you finally get there and know that rest is just around the corner – which you will need, in order to fulfill and enjoy tomorrow’s adventures. Just like the figurative trip, a travel trip is something that keeps you high while you enjoy it. No wonder many find traveling addictive. Waves on the Oregon coast (November 2016). But just like the figurative kind, you can’t go on a literal trip forever. Part of the charm is knowing it has a beginning and an end. After all, when you go up, you must, eventually, come down. Who would want to be high forever? Knowing that your travels have an end ensures that you remember to enjoy it, remember that soon you will be back to normal, monotonous sobriety. It makes a trip special. But what if you remove that ingredient? What if a trip doesn’t have an end? If your journey doesn’t have an end, is it still a trip? What if you never came down from the high of travel? At some point, the terms blend together. A trip without an end is not a trip, because it is no longer temporary; rather, it is a lifestyle. In cases like ours, this makes the term “vanlife” much more appropriate for describing the situation. This is even clearer for the thousands of vanlifers wandering their way through everyday life in their vehicles in the US, Canada, and Australia. They are not on “trips” because they are not trying to get anywhere. They are simply living nomadically and being wherever the wind takes them this season. Of course, they have destinations, but their destination does not mean the end of their journey. Rather, it’s always just the next stop. And yet, we do have a definite beginning and an ending to our travels. We clearly started in Urbana, Illinois and will without a doubt end up in Ushuaia, Argentina. We will not be traveling indefinitely. And yet, over a year into our journey, we are tired. We still enjoy traveling, but the magic had mellowed out somehow. 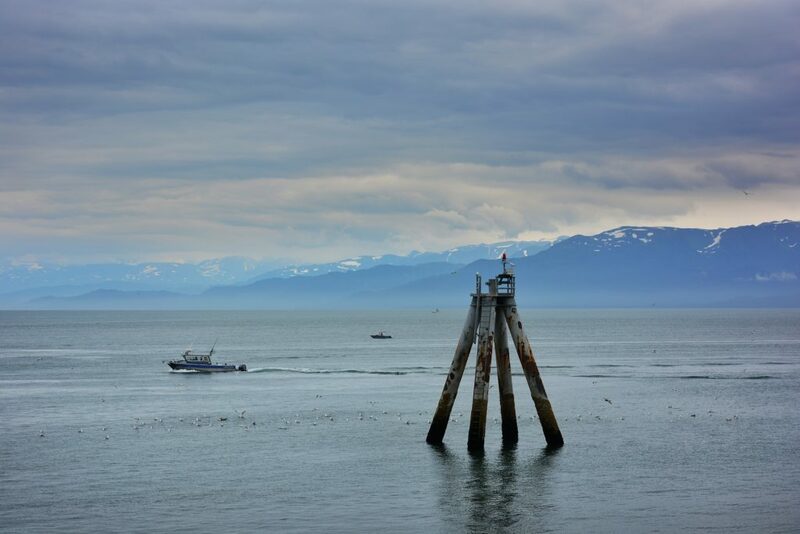 View of Kachemak Bay from the Homer Spit (Homer, Alaska – August 2016). So where was the high, that traveling fever that had always been so common before? Where was the adrenaline rush and the sense of adventure that accompanied traveling every other time we did it? We were on a roadtrip, but were we roadtripping? It was a trip, but it didn’t feel like one. Yes, we had a destination, but it was so far ahead in the future that we couldn’t see it on the horizon. After a year on the road, we couldn’t see the starting line anymore either. Both the end and the beginning were just so far away. On a 35,000 mile roadtrip, the middle of the journey is too long to count. It makes us slip into complacency, lets us live the vanlife while slowly churning towards our southbound destination. In the past few months, we have loved our lifestyle, but did we love the trip itself? Had the magic gotten lost in the thousands of miles that we left behind? It was our job to remember that a trip is still a trip. I will most likely never live in Mexico again. I will never again see such a broad spectrum of the Americas. When this is over, I will miss living in Big Emma, spending so much time with her. I will miss being mobile, and the excitement of a new town or campspot or meeting new friends when I get there. I will miss being overwhelmed by a menu whose items I cannot identify. I will be sad that I missed the opportunity to see a pyramid, or splash in the waters of a cenote. We need to remind ourselves that this trip does have an end, even if we can’t see it. It is important to remember to enjoy every minute of it, to soak in the privilege of travel. To let it fill my bones and run through my veins until all I want to do is hop in Big Emma and drive. And at the same time, travel doesn’t have to have a constant high. It is okay to have the sober, unenthusiastic days. A long, mellow trip is equally valid. Vanlife is a popular lifestyle because life doesn’t tend to get boring. It is my responsibility to remember this. And as far as drugs go, travel is one of the healthiest around, so I should damn well make use of it. GoBigEmma at the northernmost point of the trip (Wiseman, Alaska – August 2016). You continue to amaze me & I continue to learn from you. I love you.